Page F30: New Frenkisch grammar released. Also my thoughts on IALs. New Frenkisch grammar released. Also my thoughts on IALs. Big news: David Parke has released the second edition of the grammar for Frenkisch, the pan-Germanic constructed language that I like the best. 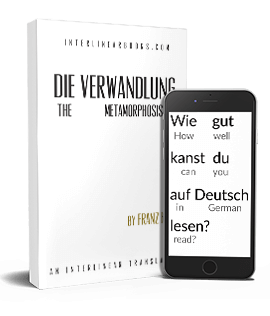 Germanic languages are often divided right down the middle between West and North and that makes it hard to find common vocabulary, but doing what Frenkisch does by 1) looking up the common origin of Germanic words and 2) using French and Russian as source languages as well seems to make choosing vocabulary that much easier. The most important part of the new version of the grammar is probably that it clearly shows how to use the subjunctive, something that was barely touched on in the last one. I'm also pleased to see that the -wis ending (like English -wise) for adverbs is optional as I preferred, which lets you use adjectives as adverbs by default (very Germanic) but you can tack on -wis when you want to make it clear that this is an adverb and not an adjective. The grammar can be found here, or I can send it to anyone who doesn't want to join Yahoo! to get it. With this I can get back to the big Frenkisch translation I was making last year, one that I won't announce until it's done (and it's going to take a while so be prepared to wait for the announcement). - For the Esperanto - Ido sphere, I believe Ido would be a better flagship project. If Ido's and Esperanto's population base suddenly switched one day, I very much doubt that Esperanto would be much more than another kind of Volapük, a language looked on fondly but not one that many seriously promote in the place of the larger. - For the Interlingua - Mondial - Occidental sphere, I see Mondial as the best candidate. Occidental comes next, and Interlingua is certainly the worst. I simply can't promote a language that is even harder to read and write than Spanish, in spite of its other advantages. Mondial is a language with a similar feel but one that I can promote in countries like Korea and Japan. - In the pan-Germanic sphere, Frenkisch is my favourite by far. Other projects here tend to be very underdeveloped which also makes the decision easy. - In the pan-Slavic sphere I like Slovianski, but again there isn't much in terms of competition. Slovio doesn't seem like it would really appeal to Slavic speakers. - After this are languages that have carved out their own niches. Lingwa de planeta is a fairly popular worldlang with a Novial-like grammar, Sambahsa is extremely impressive and appeals to Proto-Indo-European fans, and Dnghu would be great if they produced more content. At the end of the day, only one language needs to take off in the public imagination for an IAL to succeed, and I can't claim to know which one would. However, many of the languages that have already achieved a certain amount of exposure (Esperanto and Interlingua in particular) in there sphere give us an idea of how non-IAL advocates view them. - national character? Are Germans, Scandivanians etc. simply interested in the idea of a pan-language? If so then it bodes well for Frenkisch. - not speaking a Romance language an an L1? Perhaps Interlingua is especially popular because Romance language speakers find it to be unnatural with its non-Romance grammar and lack of conjugation, grammatical gender, etc. If this is true (the uncanny valley) then it does not bode well for Frenkisch in a place that would feel queasy at a language that looks so much like one's mother tongue. In any case, my strategy and preferences have not changed much over the past few years, besides having found a pan-Romance naturalistic language that I can support 100% (Mondial) and a pan-Germanic language that I really like (Frenkisch). Most other worthy projects also have my support, just not my spare time.